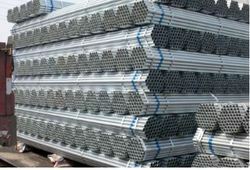 Scaffolding Pipes are widely used for supporting man and materials, tools and tackles during construction, alteration, demolition and maintenance works because of their several advantages over conventional type of timber / bamboo scaffolding. 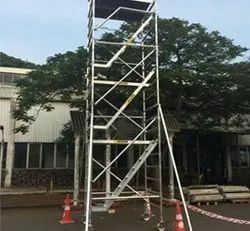 We are among the noted suppliers and service providers of a wide range of industrial machines such as Cuplock Scaffolding. Our expert technicians and workers execute all machine repairing and testing works within the set time periods. Some key properties of our technical services are cost efficiency, reliability and promptness. Enriched by an excellent team, we have been providing to our clients Hanging Scaffolding. These scaffoldings are accessible with us at quite genuine rates. RITZGLAS® Insulating Modular Scaffold is essential for the performance of hot line work on high and extra-high voltage systems, mainly in substations. The new Scaffold with Insulating Fittings is provided with modules that are interchangeable with the aluminum fitting modules.